Vern Burkhardt (VB): In Flash Foresight you say, "It's no longer enough to change… we need to transform… Expect radical transformation." Does this suggest there will likely be ever increasing numbers of business failures because of their failure to transform and do something completely different? Daniel Burrus: I believe a lot of businesses which do not wake up to what I'm talking about will struggle and fail. The hard trend is that transformation is happening whether you like it or not. The soft trend is will you do something about it? A strategy of protecting and defending the status quo used to work. Over the next 5 years not only will it not work but also it will get you into trouble faster than ever before. VB: This also applies to non-profit organizations, doesn't it? Daniel Burrus: It applies to every organization. There are huge advantages to associations and fund-raising not-for-profits which transform themselves and do things that couldn't previously have been done. But if we try to do what we've always done before in the same old way with adding a few little bells and whistles here and there, we're going to be in trouble. As I said a bit ago this transformation is a hard trend, and it's a soft trend whether you do something about it. Instead of having a lot of businesses suffer, I'm hoping people will wake up to my message. It's why I wrote Flash Foresight. I want all of us to see the opportunity and shape a better tomorrow. VB: Is a focus on incremental innovation a signal that a company is lacking the necessary transformation to deal with the hard trends? Daniel Burrus: Yes; in the past incremental was the status quo. We could get away with this type of innovation. Most companies initially do something innovative that launches them, they make a lot of money because of it, and then they get into a 'milk-it' mode. They have their cash cow and continue to milk it, but over time the margins get thinner and thinner. Even so, you could often follow this strategy and win in the past. We need to realize incremental is not a successful formula for now or the future. We need to do a transformational, linear-based, hard trend-based version of exponential innovation. VB: In Flash Foresight you give many examples of people and companies asking the wrong question or trying to solve the wrong problem. Is helping companies ask the right question one of the key benefits you offer your clients? Daniel Burrus: Yes. If you ask a better question, you will get a better answer. I help clients to better see the future and to take action on it today. In other words, identifying the hard trends and soft trends and once they are identified we ask, what are the strategies that can be put in place to help us do what we previously thought impossible? How can we grow in a market that's shrinking? How can we decommoditize our commodities? There are answers to all of these better questions. How do we overcome our seemingly impossible problems? The answer to this question: you're working on the wrong problem, that's why there is no solution. Our work is very transformative. I have been working with the top executives of IBM on what they're calling game-changing strategies. I'm doing a similar thing with Deloitte and some other large companies. I'm doing this with some start-ups and mid-sized companies as well, helping them plot and shape a positive future taking advantage of the transformations that are occurring. VB: Does it surprise you that so often government and business leaders are asking the wrong questions – what you describe as "barreling into the future with our eyes glued to the rearview mirror?" Daniel Burrus: It does continue to amaze me. There's a reason the windshield is larger than the rear-view mirror. Yet most of us use a rear view mirror approach to our going forward. A lot of it is based on the thinking that you can't predict the future so the only view we have is our view of the present that is more of a mirror of our past then of our future. VB: Is it also possible that it's a strategy which worked in the past? Daniel Burrus: Of course. We know what we know, and we rely on what's always worked for us in the past. But as we know this is a problem in today's world. VB: Has it been your experience that start-ups, which can usually move fast, are usually more adept than large, established companies at looking into the 'visible future'? Daniel Burrus: I would say start-ups are more motivated to look at the visible future and for opportunities because they're starting with a blank slate. They don't have a legacy. They aren't bogged down by history, and they need to innovate in order to start and grow. So by the nature of a start-up they're looking for those types of opportunities. The more start-ups know about hard and soft trends, and how to separate these two types of trends, the better chance a start up has to be successful. With this knowledge they can base strategy on certainty, whereas there are a lot of start-ups that are basing their hopes on something that is uncertain. So I strongly believe they need what I'm talking about, but on the other hand, by their own nature they aren't bogged down by history. History is becoming less of a friend. You can't change the past. Let me say this. There's a reason I didn't title my latest book "Flash Hindsight". It's because we've got hindsight down pat. I want us to anticipate. I want us to use foresight to shape a better tomorrow. VB: The structure of large companies also seems to inhibit their ability to look into the 'visible future'. Daniel Burrus: Yes, they are great at cooperating, but not that good at collaborating. They are great at informing, but not that good at communicating or engaging. The direction the hard trends are taking doesn't fit the silos that most large businesses have created for themselves. VB: Do you have any thoughts about why so many companies still fall into the trap of commoditization? Daniel Burrus: They listen to their customers so much, they fall into the trap of thinking their clients are only interested in a low price, and so they fall prey to the idea that price is the only way to compete. They forget or don't realize you can compete on price, service, innovation, design, and customer service to name only a few. There are dozens of ways of competing, but because their customers seem to be looking at price they think it's all they're looking at. They have not changed their thinking about how a customer thinks. They've not re-defined their value proposition. Apple does not offer the lowest price products, yet they are doing quite well. Any product or service can be what I call 'decommoditized' again and again. A good example of this is years ago I was asked to work with Cadbury Schweppes. One of their products was 7 Up, and they said sales of carbonated drinks had been declining in all categories including Coke and Pepsi by 2% a year for 10 years. It was starting to dip even further because people were drinking water with flavors and many other drinks. The market for carbonated drinks was getting worse, and they already had razor-thin margins. So I said, let's decommoditize 7 Up. Why don't we play to the hard trend based on demographics and the aging baby boomers who want to be healthy? Why not make all of the ingredients in 7 Up natural? They did this probably 4 or 5 years ago, and not only did sales of 7 Up start surging it's still growing. It made a huge difference. They separated themselves from the competition. They weren't selling on price. They were selling on health and the result was growth in the market. It was also easy to predict that their competitors would see what's happening with 7 Up, copy the idea, and make their products natural. So then what should 7 Up do? They will need to decommoditize once again. How might they do it? Make all of those natural ingredients organic. The point is you can endlessly decommoditize any product or service. Typically you decommoditize a product by wrapping a service wrapper around it, and you can decommoditize a service by wrapping another service around it. VB: Over the past 28 years you have accurately made hundreds of predictions about the future of technology. Which predictions are you most proud of having made? Daniel Burrus: There have been a lot of major predictions but one that comes to mind is the revolution created with the browser, with Amazon, eBay, and Yahoo all starting in the same year. I nailed the exact year this would happen many years before it occurred. I predicted the social media trend years ahead of time. Now look at what's happening. One of my early and really big predictions was that technology innovation and the three change accelerators – bandwidth, storage, and processing power – would increasingly drive economic value creation. This was a 1983 prediction, and if you look at economic value creation it was right on target. Economists didn't foresee it. They weren't looking at technology driven changes, they were looking at historical cycles that "may" go forward. VB: What led to you becoming a technology futurist and innovation strategist, a significant transformation from being a science teacher at an inner city junior high school? Daniel Burrus: I was the first undergraduate to direct a federal research grant, and I did this in my junior year in college so I've been interested and involved in research all along. I started teaching at the inner-city level, but during my teaching years I taught everything from adults, to graduate students, and down to that level. My goal at the time was to teach teachers how to teach science. Most teachers who do this go straight through university, get a PhD, and teach teachers never having taught. The lesson here is I've always asked myself, 'What's the ideal?' and then I've tried to shoot for that idea. As I was graduating with a Bachelor's Degree in science I asked myself, 'What's the ideal teacher of teachers?' My answer was it was someone who had taught in a variety of settings. As I started working on my advanced degrees, I also started teaching science so I could be a person with a PhD and with experience. While I was teaching I had an idea for an experimental aircraft, and during one of those summer breaks when teachers aren't teaching I built it, test flew it, and it turned out to be a great plane. Within a year I had 37 national locations and, within months of finishing the design and starting the company, I was making my annual teaching salary in a weekend. Because it was profitable almost right away it didn't take long for me to make a decision. I decided I ought to spend a little more time on this company, and the added bonus was I was having fun with it. A lot of us don't listen to ourselves. We go on as a robot doing what we're doing without listening to our inner voice. I listened to my inner voice and it said, "I miss teaching." Yet I liked being an entrepreneur and, frankly, it was kind of fun to make money for a change because you don't make money teaching. In order to make a good decision, I took myself into the future and asked, "Let's imagine I'm 95 years old and I've made a lot of money doing what I'm doing today with these companies I have started. Am I happy?" And the answer was 'no'. Just making money doesn't make me happy. I'm not saying I don't like money but to me merely making money isn't success. So I knew I had to sell those companies even though I didn't know exactly what I would do next. It took a couple of months until I had sold all of the companies. I'm the kind of guy who never wishes to go back to the past. I'm wired to go forward. I didn't want to go back to teaching because I had already done it. I had been recognized as an Educator of the Year my first year. I wanted to go forward teaching but I didn't know what this meant, and so I had to invent it for myself. VB: How did you invent your future? Daniel Burrus: For a year I did nothing but research. During this period, which was 1982 and part of '83, I could see there were a great number of significant advances happening in technology such as fiber optics, the Internet, micro-mechanics, lasers, robotics, and genetics. These new and interesting things were not fully impacting our world yet, but they were going to. Because I was a science teacher and a researcher I could see the underlying framework for the changes that were to come. So I devoted this time to doing a global study and finding out what was happening in all areas of science and technology. Back in 1982 and '83 I was even using the Internet. Through a university, and using something called ERIC, I had access to all PhD dissertations. This enabled me to do online research in addition to regular research and studies. There was no existing way to organize all these new technological developments. That's when I created the 'Taxonomy of High Technology' and identified 24 core technologies that would shape the future. I developed my forecasting model because I realized this taxonomy had more value than just organizing the information. It was a way to see the future. I knew about Moore's Law, processing power doubles every 18 months as the price drops in half. Based on this I realized I could tell exactly how powerful a computer would be in the year 2000, the year 2010, and the year 2020. As I thought about it I realized this phenomenon applied to more than processing power. So I came up with a 'Law of Bandwidth' and a 'Law of Storage'. The mistake I made was I didn't call them the 'Burrus Law of Storage and Bandwidth'. It's too bad but, as we have discussed, you can't change the past. Parenthetically, though, if I had it to do over again I would have put my name on it because it probably would have helped with my own personal branding. Instead I just called them the 'Law of Bandwidth' and the 'Law of Storage'. The three drivers of processing power, bandwidth, and data storage, which I wrote about in Flash Foresight and identified way back in the 1982/83 timeframe, coupled with the 'Taxonomy of High Technology' gave me a way to accurately see the future. This is when I developed the beginnings of the Hard Trends/Soft Trends concept, meaning these are things that will happen versus things that might happen. This how I made the jump to being able to forecast the future. Once I had finished this research I started several publications in order to publish my predictions. I also started speaking and consulting. The demand was high right from the beginning. I was fortunate that people quickly saw the value, even though at the time many businesses weren't very interested in technology. Let's face it. At that time if you wanted to use a computer you had to know how to program. A lot of young people don't have any concept of what it was like back then. Those of us old enough will know this was before the Macintosh was launched, and even before there was a hard drive! VB: Even back then you were able to forecast where technology was heading? Daniel Burrus: At that point I could foresee that we would have smart cell phones like an iPhone, and I was able to put a date on it. I could see that we would have video cameras with no moving parts because it would all be digital and I could put a date on it. This is something interesting I'll share with you and your readers. I can remember back in that 1982/83 timeframe when I was doing all this research and had developed the Taxonomy and the Laws of Band Width and Storage to go along with Moore's Processing Power Law, I had an epiphany. I had a vision. I literally saw the future, and it was crystal clear. I saw where we were going, but of course not everything. I couldn't tell whether we were going to have a war or not. I couldn't tell those kinds of things, but I could see the technology-driven future and it became very clear. Because of this intense research all of a sudden I saw doctors doing surgery using lasers which is a less invasive procedure, having genetically modified crops, how GPS could be used by farmers, and much more. I then knew how I would be teaching. I would be teaching by speaking, consulting, writing, and publishing my forecasts and the rest is history. VB: Way back then you had flash foresight. Daniel Burrus: Exactly. As a matter of fact it's where I got the idea for the book. I literally had this gigantic flash of foresight. Let me talk about the word 'foresight'. I didn't call my book flash hindsight for a reason. You can't shape the past, but you can shape the future. This is a powerful thing. Most of us let the future just unfold. One day becomes the next, becomes the next. We get busy with our lives, and we end up somewhere that we never would have wanted if we had thought about it ahead of time. So I want, with intention, to create the best possible future – not only for myself but for others as well. This means I can't be asleep at the wheel. I need to be an active participant in shaping the future, and this is based on the actions I take in the present. VB: Would you talk about your strategic consulting services? Daniel Burrus: I didn't know how to consult because I had only started my own companies after leaving the field of education. Where do you go to learn how to be a consultant? I had no clue. I had companies that wanted me to be a consultant, and I remember agreeing to help one company just to see what would happen. I proposed a high fee because I already was doing well with my speeches and writing, and they accepted it. After a few clients I realized I'm really a strategic advisor to the leadership of companies. Consultants want to work with you as much as possible, get as many billable hours as they can, and get very ingrained in the systemic changes taking place in the company. I decided in the beginning I didn't want to do dental work. What I mean is I didn't want to drill down. There are plenty of consultants who are excellent at drilling down so why not just refer them? What I wanted to do, and what I already was good at, was work with the leadership of companies helping them to see the future more clearly and strategically. I help them look at how they could rapidly grow their businesses; solve impossible problems; and create new markets, services, and products using my methodology. So as I said a moment ago I really am a strategic advisor. I have some processes I've developed which I use when I work with companies in an ongoing strategic way. For example, right now one of my clients is IBM. I'm working with their leadership in developing their game-changing strategies going forward. I did something similar with Pratt & Whitney, and with some other major companies in various fields. I also personally select start-ups. I receive requests from a lot of startups that want my service, and I pick the few that I think have great potential and work with them. I also work with some mid-sized companies. It's all about strategic advising. I have also worked with the heads of a number of governments around the world such as Singapore, New Zealand, Colombia, and a few others. VB: Government leaders will listen to you? Daniel Burrus: Yes, they usually come to me based on the results they've heard from somebody else who used my strategic advisory services. So it's been very good on a referral basis. VB: Are business leaders hearing your message about the importance of trust? Daniel Burrus: Yes they are. I talk about the power of certainty versus uncertainty. One of the highest certainties is that the future will be all about relationships. There are bad relationships and good ones. For example, when Verizon recently tried to charge a convenience fee, they lost some trust and caused some positive relationships to turn into negative ones. As we know, when you change a relationship it's not always easy to get it back. The same thing happened not too long ago with Netflix. The same also happened with Bank of America when they decided to charge people a convenience fee for using their debit card at an ATM. The future is all about relationships and if you want positive relationships you have to ask yourself, "What creates positive relationships?" The answer is trust. How do you get trust? Well, you have to earn trust, and you earn it by delivering on promises and through honesty and integrity. Companies make mistakes, not because they're dishonest, but because they aren't thinking of trust when they implement change. I've been sharing the message with how to do this in Flash Foresight, as well as in my speeches and consulting. Companies must listen and hear this message. More importantly, they must take action on it, and those who have taken action have benefited greatly. Those who continue to do what they've done before will have difficulties because the future is all about relationships. To put this into something that may be valuable to your readers, let me give you a short version of what you should do. Whenever you are planning any sort of a change, such as introducing a new product or service, entering a new market, or introducing an internal change to your own staff or people, before you actually implement the change you should ask yourself, "What is the level of trust between our company and the people that will be affected by this change, and me?" Then ask yourself, "If we implement this change in this way, what will happen to trust?" If the answer to this question is that trust will go down, don't implement it in that way. Notice I didn't say, "Don't implement it." I said, "Don't implement it in that way." Change how you implement it so trust stays where it is and, if anybody can raise the bar on trust, you need to reward that behavior because you're going to end up with great results. VB: "Technological, social, and business forces are converging to create enormous untapped opportunities." Would you talk about this? Daniel Burrus: Yes, 80% of Apple's revenue is coming from products that were impossible to do 2 years ago. Almost half the profits at IBM are coming from products and services that were impossible to do just 2 short years ago. Those are two quick examples. With certainty based on hard trends, it's easy to see that we are going through a technological revolution – not an evolution. It's a technological revolution that is causing us to transform, not merely to change, over an extremely short period of time how we sell, market, communicate, collaborate, innovate, train, and educate. How short a timeframe? 5 years. Actually less than 5 years. Every company trains, educates, sells, markets, communicates, collaborates, and hopefully they innovate although some don't. We're transforming every one of those things. As I said this is a hard trend. It's going to happen whether we like it or not. The soft trend, the 'if' or 'maybe', is will you do something about it? This represents amazing opportunity. Look at how big YouTube is, and yet YouTube was technologically impossible not many years ago. Why? We didn't have bandwidth. We didn't have the ability to watch YouTube on a cell phone. We didn't have fast enough processors to process videos so they wouldn't be jerky and a crummy experience. We have amazing capabilities today, but what I'm telling you is the amazing capabilities of today are quite boring compared to what we will be able to do in 2, 3, or 4 years from now. Given this, having a 'wait and see' attitude can be very unhealthy for your business. It's why I wrote the book Flash Foresight. I want you to be anticipatory versus reactionary, because things are happening too fast to just react. VB: In one of your speeches you said, "Technological change is going to accelerate dramatically." Daniel Burrus: Absolutely, and as I've said earlier we are no longer in a period of change, it's now to the level of true transformation. There's a difference between change and transformation. Most businesses would say they're transforming but, if you look at what they're really doing, they're changing. It's just faster change and, by the way, faster change is hard on your people. Transformation is quite different. An example of the difference would be when I was a young guy I could listen to my music one album per spinning disk, 33 1/3. Then as I got older there was a technological change. I emphasize the word 'change'. I could get one album per spinning disk called a CD, and it was much smaller. It was very nice, but size wasn't the benefit. The big added value was it got rid of all the hisses, pops and scratches of all my old albums. So I re-purchased all my old music and got all my new music on CD. Today I've got all my music, emails, videos, photographs, Internet access, and a camera to boot in my pocket. It's with me at all times, and is called my Smart Phone. It didn't change how I listen to music. It transformed it. It's not changing how I use the web. It's transforming it. It's not changing what happens when people use social media. It's transforming it. Consider the spontaneous revolutions in Egypt and other parts of the Middle East. Many of the citizenry didn't have computers. What happened? They got cheap cell phones with Internet access, which gave them social media and a way to organize quickly. This was impossible just a couple of years ago. We're not changing how we sell, market, communicate, collaborate, innovate, train, and educate. We're transforming them. The flash foresight I want to give everyone reading this article is the playing field has once again been leveled. This is all about game-changing. When there is massive global game changing at the transformational level it means that whoever your competitor is, they no longer have the big advantage. The manufacturers in China no longer have the big advantage over the manufacturers in the U. S., India, or anywhere else. The advantage goes to those who see the predictable transformations that are being driven by hard trends and take action on them now rather than waiting and seeing. If you don't do it, someone else will. VB: If you wait and see and someone else does it, it's too late for you. Daniel Burrus: It means you're playing catch-up in a world which is transforming. You'll risk falling behind faster. VB: Is Visionary Apps, a company you started in 2009 based on the principles in Flash Foresight, as successful as you had planned? Daniel Burrus: Yes, we did some amazing things. As you know from the book I did it as an experiment. We launched three products all at one time. We were the first to launch a national real estate app for homes, a national foreclosures app, and a national rentals app. These quickly became global. We were the first to put into the marketplace a global rentals app and a global home-buying app. If you want to buy a home in Beijing or rent a house in Moscow you can do it using our apps. Then we started doing apps for emergency response for the military, and became one of the first companies to develop app capabilities for the military. We didn't want to create apps to help facilitate war but rather for use for emergency response and to save lives. Our first app was deployed at the biggest military base on the planet – Fort Leavenworth, Kansas. We were also the first to develop a recurring revenue model for apps with the real estate apps. Before Visionary Apps you would pay a one-time fee for an app if it wasn't given away free. You'd pay 99 cents or 5 dollars for an app, and once you made the purchase that would be it. This would be all the money the developer would receive. I wanted recurring revenues. As an example, we provided the homes app and the foreclosure app complete with the data at no cost because we wanted a lot of users. To generate revenue we charged real estate agents $29.95 to buy an exclusive zip code. When all the zip codes are purchased it will generate $1.1 million in revenue per month. Of course, we were also looking at other revenue avenues. Visionary Apps did well, but I've got a "but" in there. The "but" is that I already have a thriving business called Burrus Research, and I'm an author and speaker. I've already got a full plate. The good news is Visionary Apps grew and did well. The bad news is it grew and did well, and created more work for me to do. I'm in the process right now of changing Visionary Apps into a licensing model where we will license the software and consult on mobilizing their enterprise. This will allow me to get back to my core business which is helping people create game-changing products and services and shape a more positive future, and doing this through my speaking, writing, consulting, and research, which is what my passion is. So I can summarize by saying the experiment was good, it worked great, but I'm selling off parts and moving Visionary Apps into another place. It can make money, but it's been taking me away from my core. VB: This was not your only business startup. Daniel Burrus: Yes, I've started a total of six companies. Three of them were national leaders in their first year. As I told you earlier, the first one was in experimental aviation with 37 national locations within the first year of operation. So I'm not just a guy who writes books and talks about these things. I've actually started successful companies. VB: Would you tell us about your Technotrends® Newsletter? Daniel Burrus: This year we are celebrating the 28th anniversary of publishing the Technotrends® Newsletter, which is a monthly publication. It's been very popular, and we have global subscribers. They include a lot of leaders, executives, entrepreneurs, and others who are interested in reading my insights as well as keeping abreast of technological trends from around the world. Executives, entrepreneurs, and many others have been loyal subscribers for many years. I write a lead article that gives a flash foresight for every month's newsletter. The goal is to help readers get a flash foresight, and then navigate the world of change and transformation. It also includes short news articles about innovations in all areas of technology that I think our readers should know about. Usually I pick things that are significant and not covered in the general news. I tend to not cover items you will have seen on USA Today or have read about in the Wall Street Journal. I try to cover the things I think are significant and that our readers might have missed, and include a direct link so they can get more information from the source. You also publish an annual edition of Know What's Next Magazine. Daniel Burrus: Yes, as we've been discussing we live in a world of technology-driven change. In this magazine I share information about the hard trends of what lies ahead, as well as provide business and personal strategies that you can use to keep ahead of the competition. I address a lot of game-changing transformations, such as social media and mobility, and how you can use them now. Know What's Next Magazine is also issued in both printed and e-versions, and both can be obtained through Amazon.com. Either version can also be ordered through our dannielburrus online store. VB: You are in great demand as a speaker, having delivered over 2,500 presentations. Do you still enjoy it? Daniel Burrus: Oh yes, I like it very much. What I really like is making a difference. I've had audiences as big as 14,000 people and as many as over 30 different languages translated simultaneously. I recently did an online presentation that had over 1.1 million people watching me live. I was blessed with a gift for giving engaging presentations, and I believe that if you were given a gift you should use it. For me it's not about the applause at the end. It's about all of the letters and emails I get from people who have heard me speak and they tell me what a difference it has made for them. I receive comments my presentations have changed how they think, and given them new ways to shape their future. It's something I love and will continue doing. It's hard to retire from something that is a calling. For me speaking and teaching is a calling. VB: When you say it makes a difference, does it make a personal difference to the people in your audience as well as to their business life? Daniel Burrus: Yes, to both. My philosophy in speaking, and I think the reason I've been in high demand over the years, is I believe that if you're just talking about corporate, organizational, or market change it doesn't create behavioral changes. You have to make the concepts personal because change comes to us in two ways. It can come to us from the outside in. This usually causes us to crisis manage, put out fires, and be reactive. Change can also come from the inside out. At an organizational or corporate level, when we want to take control of change instead of just react to the things that are externally hitting us, we become anticipatory and create change from the inside out. Think of people you thought should change their behavior or what they do, and you've talked to them about it. Whether it's quit smoking or anything else most likely it didn't happen. When the change comes from the inside out people are at a readiness level, they bring it into their conscious world and make it happen. In my speaking I share stories about things that their organization can do to grow, and I do a lot of work to make it personal and show them, as individuals, how they can have more control in shaping their future, career, and job definition; and make a greater contribution to their organization than they ever realized. VB: And be purposeful about doing it. VB: "Your futureview determines the future you." It's that powerful? Daniel Burrus: It's extremely powerful. I first developed the concept of futureview when I had my big flash of foresight after all my research in the early 80's, and I've used the word 'futureview' in all my books and speeches because it is a powerful concept. Let me share it with you how your view of the future shapes to a great extent how you act in the present. For example, right now as we're doing this interview there are people who are buying IBM stock and there are people who are selling it. There are people buying Apple stock and people selling it. What's the difference between the buyers and the sellers? It's their futureview of IBM and of Apple. There are people who work for you who are perhaps thinking of leaving your company and others who are thinking of staying. What's the difference? It's their futureview of working for you. There are some kids right now who are thinking of going to college while others are thinking of going to drugs. How you view the future shapes how you act in the present and how you act in the present shapes your future. Therefore, your futureview will determine the future you. What I'm suggesting is your futureview is less than it should be because we're in a world of transformational change. You need to think about your future because you're going to spend the rest of your life in the future. Your futureview determines the future you that will, in turn, determine your future. You need to get your futureview in line with what is really possible. VB: This is an important message for young people, isn't it? Daniel Burrus: It sure is. When I started this research, established my business, and started speaking I created an education part of my company. It loses money every year, which is fine because it wasn't meant to make money. What it was meant to do was to make a difference. We take robots and some really cool technology into elementary, junior high, and high schools and endeavor to get the students and their teachers excited about their future. We're trying to get them to change their futureview. We're helping them to see that there's a role for them in the future, and that reading, science, and math can be fun and interesting. We're trying to get them excited about these things. Our main school presenter has been in over 8,000 schools over the decades. Around the year 2000 I created a program 'Designing Thriving Schools.' We've got some highly qualified people who facilitate sessions with school districts helping them transform themselves. It's difficult, though, because in the last decade school districts' budgets have been cut so much that they're in a crisis mode instead of an opportunity mode. They see crisis everywhere they look along with budget cuts. This means they can't see the future they could create they are too busy managing the crisis. It's not easy but we keep trying. VB: What is the primary goal of the education division of your consulting business, and is transforming schools in the U.S. one of your passions? 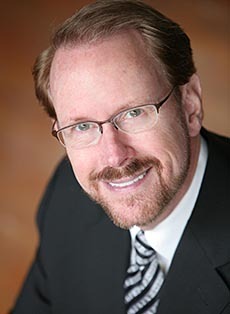 Daniel Burrus: I've got a strong passion for elevating education. In my mind, if you want to have a positive influence on the future, you can't just be talking to a bunch of 50, 60, or 70 year olds. You've got to be talking to some young people as well. You can't just be talking to businesses and government. You better also be talking to educators. But you can't just be talking to educators; you should also be talking to kids. So I created a business model that lets me do all those things. VB: It must be rewarding to see the enthusiasm of youth. Daniel Burrus: Very much so. I perceive us as being seed-planters. When we are making presentations at school assemblies we are planting many seeds. Books, audios, newsletters and other forms of communications are the fertilizer that can nourish and keep those seeds growing, and give them a way to blossom. Some planted seeds won't grow. We know this so the key is to plant a lot of seeds. I'm happy that my books have been translated into many languages, and I have been able to give so many keynote speeches globally. I'm just a seed-planter and I keep planting. VB: What is the key message you hope people will receive when they read Flash Foresight? In other words, instead of being reactionary and living their lives in a reactionary mode, they can be anticipatory and solve problems before they happen. This idea of solving problems before they happen is important, because most of us keep getting onslaughts of problems one after the next after the next and so we become overwhelmed. We need to keep the problems from happening in the first place. As you know, the sub-title of the book is How to See the Invisible and Do the Impossible. One of the key messages is that ever since human beings have set foot on this planet we've been doing impossible things, whether it be flying in an airplane, putting a man on the moon, and the list goes on and on – even having a Skype conversation. At one time, there were no blogs and no newsletters. There wasn't a pen or even paper at one point in human history. Impossibility is a mind-set. How do you do the impossible? The answer is you make the invisible visible. You look where other people aren't looking so you can see invisible opportunities – those invisible solutions to what are seemingly impossible problems. This is where the 7 points in the book we've been talking about come in. They are meant to make the invisible visible, giving you a flash of foresight that allows you to move forward in a way that you couldn't have done before. The author provides us with a wealth of advice about how to get a flash foresight – indeed how to get many flash foresights. It's imperative for future business success. As he says hindsight brings lament, not wisdom.